Since the beginning, Dana Kitchens have always aimed to set our own high standard and not settle for the average way of kitchen design. We custom design and manufacture our own products, not relying on pre-fabricated or pre-designed templates. You don’t get a mass-produced, off-the-shelf boring kitchen. We are not restricted in our use of materials, using products such as new and recycled timbers, veneers, craft wood or laminate finishes. Painted finishes include two-pack polyurethane, and our specialty is a unique hand painted style. Dana Kitchens also have a diverse range of timber bench tops to choose from, including recycled Silky Oak, Hardwood, Hoop Pine and Oak just to name a few. Other bench materials include, Granite, Quartz, Corian, Stainless Steel and Laminates, all of which are carefully selected to complement the design and your budget. 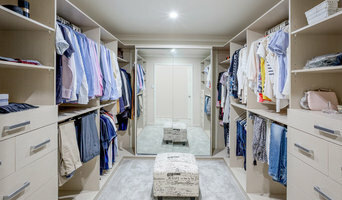 Custom Wardrobes & Cabinetry specialises in custom designed cabinetry for your home including wardrobes, home offices, entertainment units and bathrooms. We pride ourselves on the quality of our workmanship, products and customer service. Our team of professional designers and cabinet makers work closely with you to ensure we achieve a custom design and look you can be proud of for years to come. Based in South-East QLD, A & T Cabinet Makers is a family owned and operated business with over 40 years industry experience. We offer free measure and quotes with custom designs to suit your space. We manufacture in house, by qualified tradespeople, to ensure high quality workmanship. All of our cabinet work is made to measure. Visiting our showroom you will have a full range of products and finishes to touch and feel. Our in house designer will work with you, on your design, to optimize functionality of your cabinet work based around your households needs. Marco's Kitchens is a family business locally owned and operated in Brisbane, keeping local people employed. We manufacture cabinets to suit your entire needs from Kitchens, Bathrooms, Laundries, TV Cabinets and much more. Please contact our friendly staff to find out more on how Marco's Kitchens can assist you for all you cabinetry needs at 0434 017 390 or e-mail info@marcoskitchens.com.au. 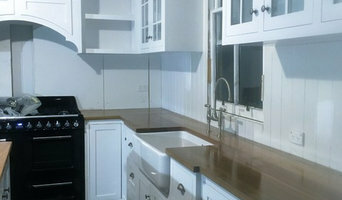 We can help you from design concepts all the way through to the installation of your cabinets. Wokai Design is your first stop for night area furniture; we offer a wide range of wardrobe and bedding products. Whether you require modular wardrobe units, walk-in robes, open style wardrobes or traditional robes with sliding or hinging doors. We offer as standard in most of our ranges, wardrobes with heights up to 2900mm. Widths and combinations to suit any size or style of a room. We are the only company to supply corner beds in Australia. Our patented corner bed from Italy can utilize your space like never before. The greatest benefit is that it is designed to not sit in the middle of the room as with normal beds but to be positioned in the corner of a room and project out at an angle of between 30 to 60 degrees. The bed also comes with integrated side tables and the option of under-bed storage. We see this bed as perfect for bedrooms where normal room design makes standard bed placement difficult. The bed has the ability to open up any area of any bedroom making the room feel larger and making access around the bed much easier. Ambition Kitchens and Joinery prides itself on quality workmanship and manufacturing of kitchens, bathrooms, laundry's and wardrobes to the highest standard. Family owned with over 13 years in the industry , our aim is to provide all our clients with a unique space to suit their individual needs. 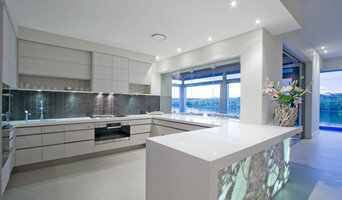 A Quality Kitchen and Small Renovation Specialist, Servicing Brisbane and Brisbane North. Imagine and create your property renovation including a dream kitchen renovation or bathroom renovation without restriction. CIS Property Developments, are Brisbane-based, family-owned builders specialising in all types of property renovation and structural building in Brisbane and South-East Queensland. Experience personalised service from start to finish, using quality cabinetry made local, not cheap imports. We come to your home to discuss your plans. We specialise in installing quality kitchens and bathrooms including using quality Australian and European appliances including some of the quality brands and fittings. Your kitchen is the most important room in your house. It's the hub of your household where family comes together to share meals, neighbours and friends hang out, and kids do their homework. It's also the room that sees the biggest return on investment when it comes to home improvement. Your Design Kitchens and Bathrooms can turn your kitchen into your families favourite room in the house. Darren is a cabinet maker specialising in the manufacture of Kitchens, Alfresco Areas, Butlers Pantry's, Laundry Rooms, Vanities, Entertainment units & Wardrobes. Darren boasts more than 30 years of experience as a Cabinet Maker in Brisbane. As Design Manager he draws on this experience, ensuring that all our projects are designed with practicality and functionality in mind, while incorporating the design elements you require. Darren is married with 2 adult sons. He's successfully completed the Kokoda Challenge on the Gold Coast several times, climbed to base camp at Mt. Everest and he enjoys a regular game of squash. We specialise in the design, manufacture and installation of complete kitchens, including the project management of all trades at a fixed price. We specialise in the design, manufacture and installation of kitchens, bathrooms and custom cabinetry. Design-All Cabinets is an Ipswich based company and has been in operation since 2006. There is a work base of 5 staff. We have a showroom that is open from 6.30am- 3.00pm Monday- Thursday and Friday from 6.30am- 12.30pm Fridays. After hours by appointment only. At Eden Made we live and breathe beautiful timber designs. We have the expertise and technology to craft beautiful timber windows, doors and more for clients. But, perhaps more importantly, we listen carefully to fully understand what customers are wanting, and to fully understand what this means to them. When someone invests their money in windows and doors, they firstly want to know that you get them. They want professional advice and talented designers to turn their ideas into beautiful, practicals concepts; they want to know all possible options; and they want to know that their finished designs will be what they asked for and the standard they expect. And, of course, they want to love it! This is what we deliver at Eden Made and what we call the Eden Experience. Custom products that we create for clients include: •DOORS (Barn, Bi-fold, Cavity Sliders, Hinged, Pivot, Sauna, Sliding, Open Rail, and Wine Cellar Doors) •WINDOWS (Awning, Bi-fold, Casement, Double Hung, Fixed glass, Louvre, sliding) and •TIMBER FEATURES such as shiplap panelling, commercial fit outs and unique timber designs and sculptures. Our timber creations feature in awarding winning architectural designed contemporary homes, renovated Queenslanders, and popular Hamptons-style abodes. Cabinetmakers specializing in Architectural domestic cabinetry. Joinery and cabinet makers are mostly known for their work in kitchens and bathrooms, but their skill set goes much further than that. It is important to understand the difference between carpenters and cabinet makers, which lies in the detail of work. Carpenters tend to work on larger structural projects and this is why many become builders, whereas cabinet makers are masters when it comes to the finer detail. So if you’re looking for detailed woodwork like custom-made furniture for your living room or smart storage solutions, you’ll be sure to find a Collingwood Park, Queensland cabinetry expert in the Houzz directory of professionals. What Do Collingwood Park, Queensland Joinery and Cabinet Makers Do? If you know what you want and are ready to take the next step, scroll through this page to find joinery and cabinet makers in Collingwood Park, Queensland. As mentioned, you can browse their latest projects, read reviews and see how other homeowners rate their work, and message them directly. You can also look through Photos to find examples of joinery you like, then contact the professional who worked on them.